The French MOA published late yesterday afternoon an update showing that since Wednesday's update, 12 additional HPAI outbreaks have been recorded, and a new Department (Hautes-Pyrénées) is the sixth to be affected. These MOA updates are only reporting HPAI events, and as of several days ago we knew of at least seven additional LPAI H5 (N2 and N3) outbreaks (cite). There are likely others by now. The subtype for most of these new outbreaks are still pending, and they are simply described as HPAI H5. 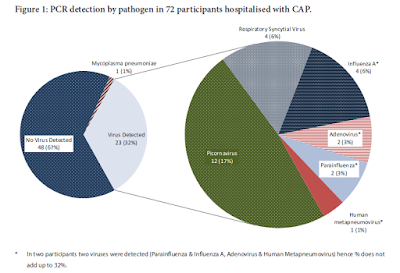 As mentioned yesterday, scant information regarding the lineage or origin of these newly emerging flu strains has been released other than they are of `European Origin', and both the WHO and DEFRA are awaiting additional details. - On 18 December, an influenza outbreak H5N2 and highly pathogenic H5N9 has been reported in Saint Cricq Chalosse in a duck farm. 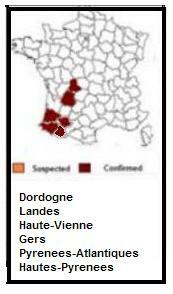 In the Hautes-Pyrénées, 1 case of highly pathogenic H5 influenza was detected 18 December 2015 in the town of Labatut-Rivière in a duck farm in the restricted area of Arroses. The strain is being determined.